Looking for support for your pre-start or established small business? We’d love to be able to help you find support from one of our members. Looking for support for your pre-start or established small business? We’d love to be able to help you find support from one of our members. Our members are traditionally, but not exclusively not-for-profit enterprise support organisations, enterprise agencies, Chambers of Commerce, local authorities and other specialist providers. Routinely offering support in the form of advice, space and finance, statistics show that when a client receives support from an NEN member, they can expect an average 1 year survival rate of 86%. Below you will find contact details for all of our current members. CDC Enterprise Agency offer advice, guidance, training and support to anyone looking to start or grow a business. Centa provides a range of services aimed at new entrepreneurs and established firms and we have over 30 years’ experience of providing impartial advice and hands on support in Central London. Edeal (Eastbourne & District Enterprise Agency Ltd) is a local independent Enterprise Agency, providing business support at all stages of business development and growth. Enterprise Enfield offers a comprehensive range of business support services and facilities specifically designed to encourage, guide, inform and inspire people to be successful in business. Using enterprise to change peoples lives. Based in the Tees Valley and Durham, working with individuals, groups and families. Erewash Partnership is a not for profit company limited by guarantee, established over 20 years providing independent advice to new start, early stage and established businesses in Erewash, Amber Valley and Broxtowe. 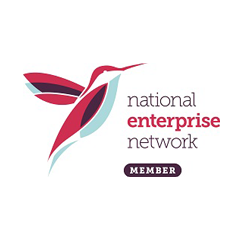 Finance For Enterprise is a not for profit company limited by guarantee, established for over 30 years providing loan funding and advice to new start, early stage and established businesses across South Yorkshire, North Midlands and Lincolnshire. Five Lamps offers a range of enterprise support to individuals who are considering self-employment: enterprise workshops; pre-start advice and guidance; New Enterprise Allowance Loan and Mentoring service; Start-Up Loan Fund. Gateshead Council has a wealth of experience helping local people get back into the jobs market after periods out of work. With over 30 years’ service to SME’s, The Trust, a Quality Assured Company, provides business advice and support to new and developing businesses across the North West. Kent Invicta Chamber is the ultimate business support network in Kent. The Let’s Do Business Group is the leading provider of high quality, impartial business advice, training, access to finance and business events in the South East and a delivery partner for the Start Up Loans scheme throughout the South of England. A variety of free and subsidised support for eligible individuals and businesses. The BIC is a business centre with a difference; our mission to build business success in the region through Knowledgeable, Independent, Inspirational, People. Nwes deliver a range of business advice, training workshops, start up loans and innovation grants in Cambridgeshire, Essex, Norfolk and Suffolk. PNE Group works with others to deliver enterprise development, passionately pursuing innovative ways to enable constructive social and economic change. The PBC is an award winning enterprise agency based in North Kensington with over 25 years of experience in providing impartial business advice, training, networking and consultancy to pre-start, start-up and existing businesses. Enterprise agency offering a range of business support services, specialist E-Business support, training and networking opportunities. Join Staffordshire Chambers of Commerce today and access a whole host of support services to help you grow your business, cut costs and raise your profile. STANTA (a not-for-profit organisation) offer the Herts Start Up programme (HSUP), a free package of 12 hours of business support including one-to-one business advice meetings, training workshops and seminars for start-up, new and established micro businesses (up to 3½ years old). StartUp Croydon helps those wanting to start their own business through a range of free services including a weekly half-day business seminar, a monthly three-day seminar and 1-1 business support. TEDCO Business Support Ltd is a leading Enterprise Agency working across the North East of England. Supporting and nurturing small business across the Yorkshire Coast since 1985. Airedale Enterprise Services (AES) is the centre of excellence and choice for business support and enterprise in Yorkshire & Humberside and East Lancashire; delivering services to businesses, start-ups, colleges, social enterprise and individuals. The Basildon Enterprise Agency was established in January 1984 and officially launched in April 1984 in front of an audience of 50 local business’ and community personnel. BRAVE Enterprise is Bristol’s leading small business advice service. Business Enterprise Fund is a not for profit social enterprise, set up to provide loans to SME businesses that will help them thrive and grow when other lenders can’t fully assist. Business & Enterprise Finance Ltd T/A Business Enterprise Fund is a not for profit social enterprise, set up to provide loans to SME businesses that will help them thrive and grow when other lenders can’t fully assist. The Colchester Business Enterprise Agency (Colbea) is a not for profit organisation dedicated to supporting business. Colbea delivers over 1,000 training and advice sessions every year, so it’s fair to say that we know what we’re talking about. Based at Novus Business Centre in Peterlee, with a second incubation facility at Seaham, EDBS provides support and advice to aspiring entrepreneurs and established businesses in a range of areas including planning, marketing and apprenticeships. The Isle of Wight Chamber of Commerce is a leading player in the British Chambers of Commerce Accredited Chamber Network, and provides an independent powerful voice for the views and concerns of its members at local, regional, national and international levels. MENTA provides affordable advice, information, training and networking opportunities for new, emerging and established businesses in the eastern region. SBA provides advice, guidance and support to individuals, micro businesses and start ups as well as those businesses looking to grow. At Enterprise Exchange we specialise in helping people with additional barriers become self-employed or start a business to transform their lives. Red Ochre works to support organisations delivering social change across the UK and worldwide. Established since 1999, Sirius is a BIS registered Enterprise Agency, and also a fully accredited Community Development Finance Initiative. Transmit Start-Ups is a national delivery partner of the Start Up Loans Company, a Government backed scheme. © 2018 Copyright by National Enterprise Network. All rights reserved.